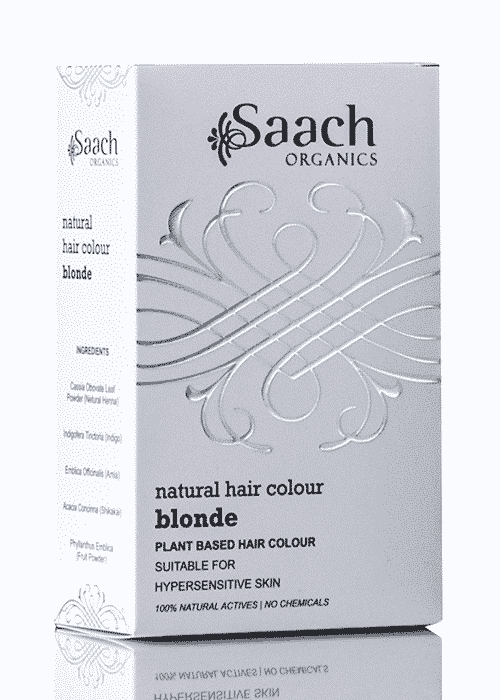 Blonde natural hair colour that is chemical free, organic and not tested on animals – PETA certified. Balance and nourish your hair as you colour. 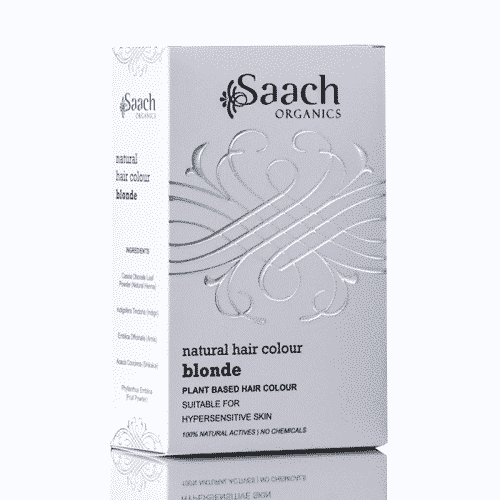 Saach Organics Blonde Natural Hair Colour is a semi-permanent hair colour derived from natural plants and minerals, making it a perfect blend of rare hair treatment herbs without any active chemicals. Semi–permanent blonde natural hair colour treatment that lasts, whilst balancing and nourishing each and every hair, helping to prevent breakage and over-drying, leaving hair thick, lustrous and naturally healthy. 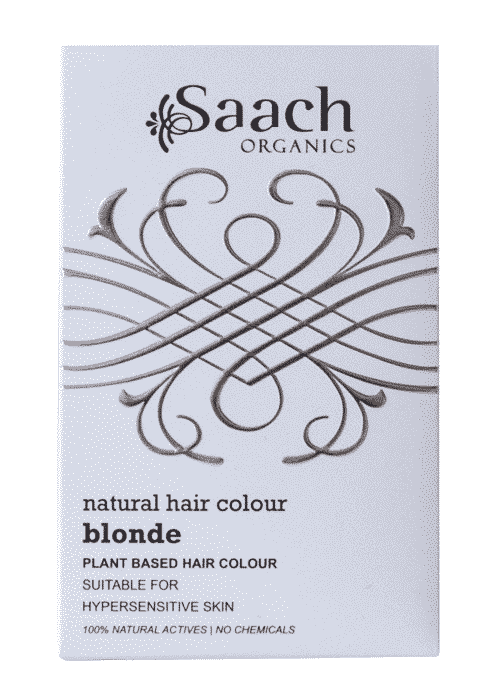 About: Saach Organics Hair Colour are semi-permanent hair dyes derived from natural plants and minerals, making it a perfect blend of rare hair treatment herbs without any active chemicals. Natural Hair Colours are the first semi–permanent hair colour treatments that last. They balance and nourish each and every hair as they colour to help prevent breakage and over-drying, leaving hair thick, lustrous and naturally healthy. Contains Natural Hair Dye, Natural Colour Protect Shampoo, Gloves, Hair Cap and Applicator Brush. Ingredients: Cassia Obovate Leaf (Neutral Henna), Indigofera Tinctoria (Indigo), Emblica Officinalis (Amla), Acacia Concinna (Shkakai) Phyllanthus Emblica (Fruit Powder).